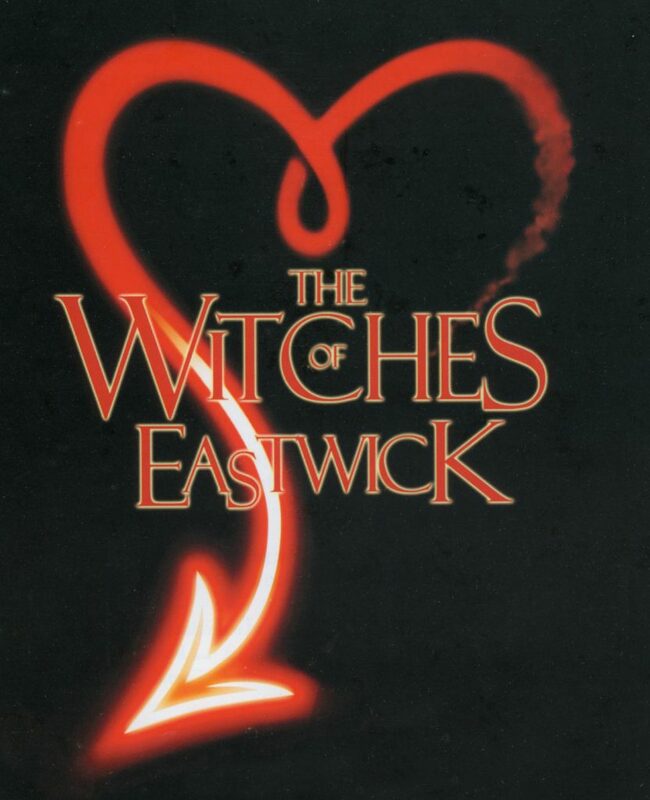 BAPA (Bristol Academy of Performing Arts) asked me to present ideas for scenic paintings, for use in a musical production of ‘The Witches of Eastwick’. I made visuals and presented them to the Directors of BAPA. John Updike notably, attended the Ruskin School of Drawing; detail in the novel derives from a draftsman’s objectivity. Once we established some ideas – the scenery needed to reflect the quaint charm of New England, it became my job to translate them into paint – within a stage setting. Quoting for all costs I created a schedule with respect to the show and its deadlines. However, I was unable to commence work because of illness – so I had to complete the whole job inside a seven day period in the run up to the musical’s debut. The pressure became intense and meeting Simon Bond’s (set designer) wooden creations on stage, for the first time was nerve wracking. When I tell colleagues I’m working on a painting 3m x 2m, they tell me ‘that’s large scale’ – nothing compared to painting something the size of a house, or bigger. A purpose made venue, the Amulet Theatre was built in the 1970’s, reflecting civic and social pride of that era. The exterior is characterised by Brutalist architecture echoing the sombre heaviness of HMP Cornhill; inside there is an air of the South Bank Centre. With raked seating, it’s auditorium can be converted into a hall, where much of the rehearsals took place. For most of the time I worked behind the fire curtain, using artificial lighting. On average I worked from 8 am till 10.30 pm each day, with half an hour for lunch. I used a rickety step ladder – reaching to a height of about 25 ft and became quite adept at running up and down it with care-free ease (brush and paint kettle in my hands). Along with a ghetto blaster and some CD’s, I became known as ‘Alan of the loud music’ because after rehearsals, around 6 to 7 pm, I cranked up the volume propelling me towards last orders at ‘the Bell’ – where I was accommodated. Michael Eavis’s daughter was running the pub, two African men complete with dreadlocks managed the bar. 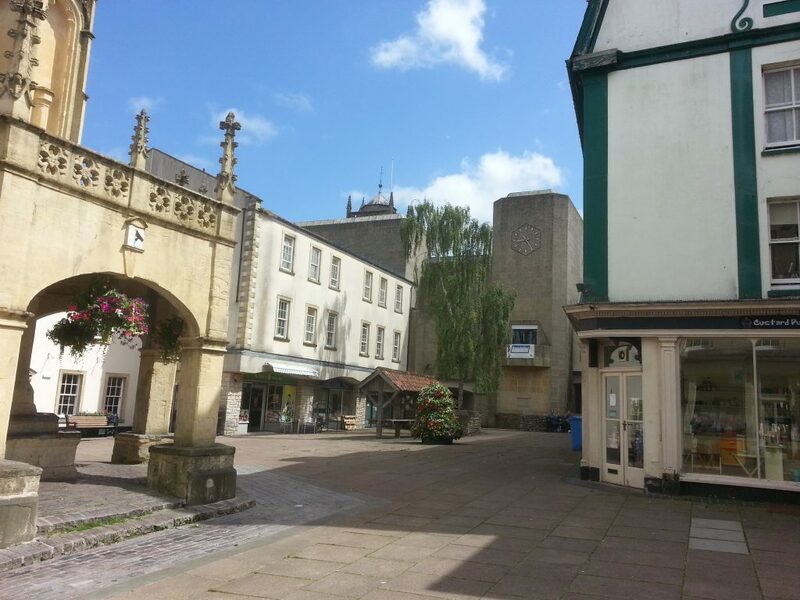 Typical of a sleepy, ‘one horse’ market town in Somerset. 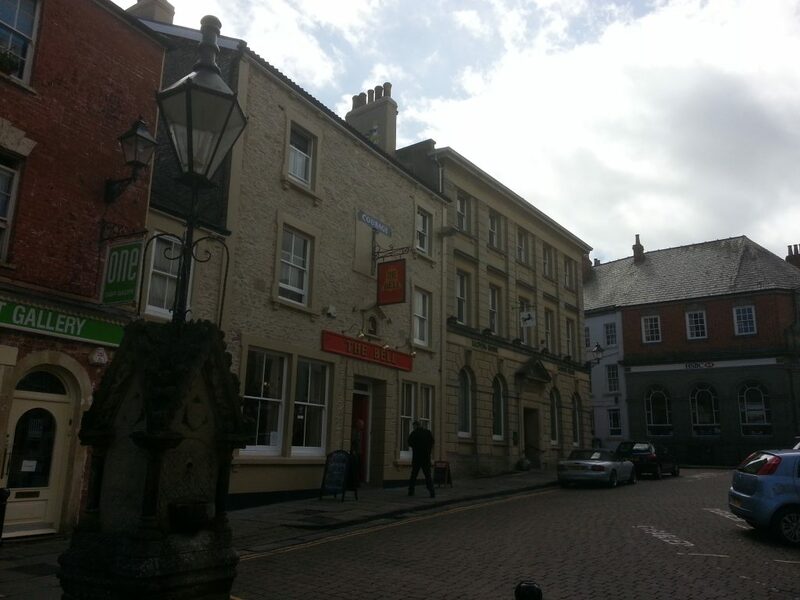 The Bell public house, Market Place, Shepton Mallet. Each evening I purchased three pints; carrying them upstairs on a tray. The door to my room didn’t close properly, so I wedged it shut with a chair – gunfight at the OK Corral style. By the end of the week I was exhausted but had completed all work as specified. Driving across the Mendips afterwards was dangerous. The pace of the job, plus being in an enclosed space with artificial lighting had altered my perceptions. 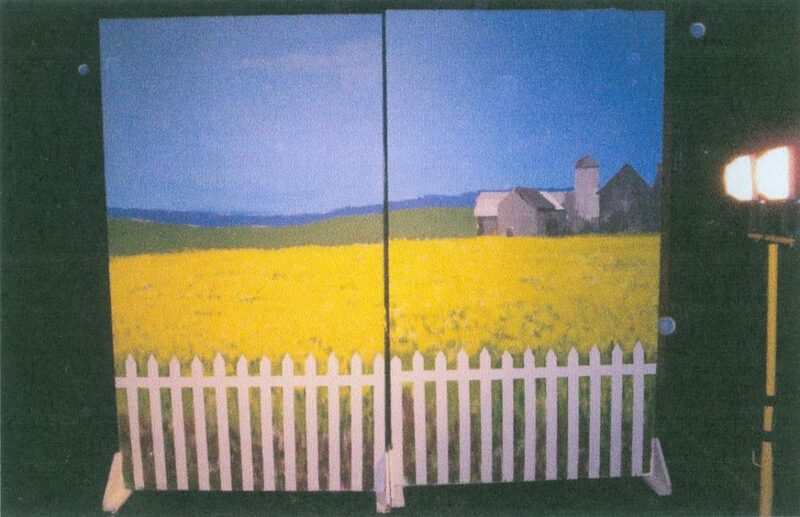 On opening night, we were seated towards the back of the auditorium, where the effects of perspective were apparent. The vast paintings I had worked on appeared within a rectangle of approximately A2 dimensions (40 x 60 cm). I was pleased with my use of colours, they had a gem like brightness under stage lighting. Along with the sheer eccentricity of BAPA’s production in the time worn environs of Shepton Mallet, I really enjoyed the gig. 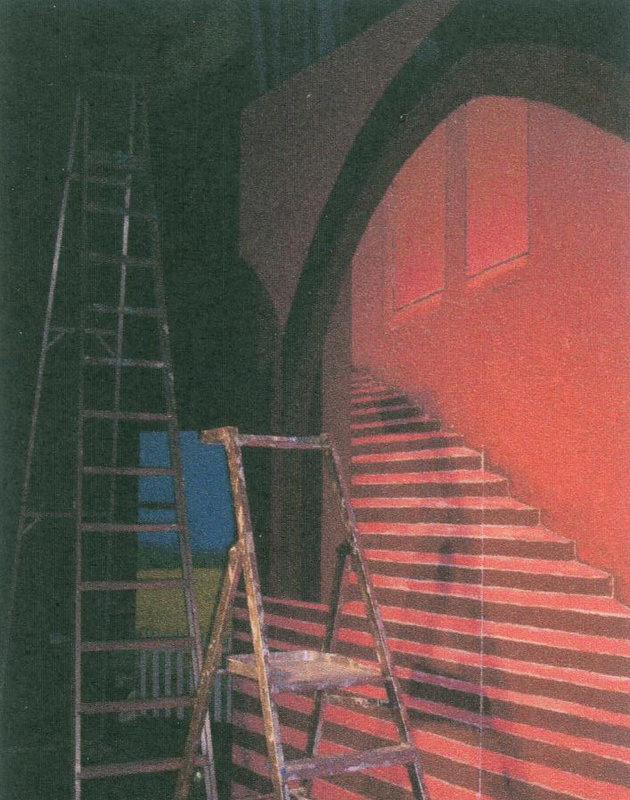 Work in progress: painting the interior of Darryl Van Horne’s house – Alan Dedman. It was hard not to think of Jack Nicholson’s version of the character when drawing a Gothic arch over the stairway in Darryl Van Horne’s house. I used a long bamboo cane with charcoal fixed to the end (a la Henri Matisse), making no errors in continuing and connecting the linework – accompanied by various refrains from the score, being sung over and over again ….. 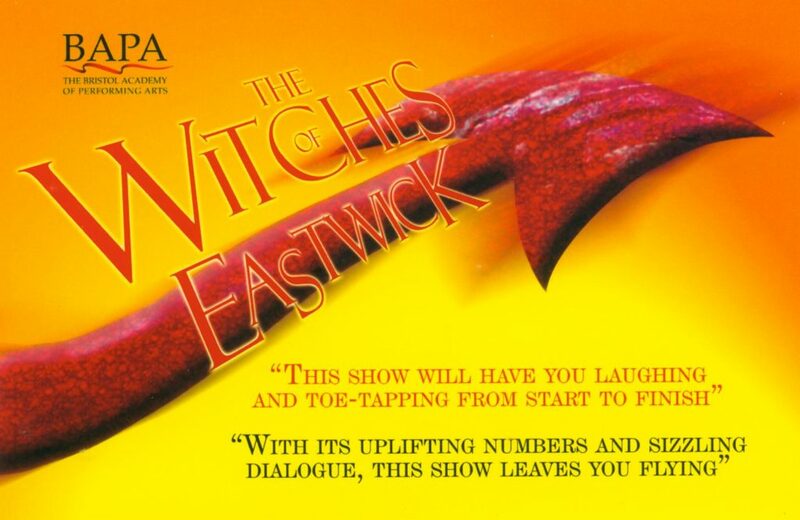 The Witches of Eastwick by John Updike – a musical production by Bristol Academy of Performing Arts.